PRAXIS offers the right mix of agreement flexibility, quality protections and experience to help you get real value from your escrow agreement. A software escrow agreement delivers legal protection for licensed software applications. There are many benefits to a software escrow agreement, including providing protection against vendor failure. In the event of vendor failure, the software vendor’s proprietary source code or other intellectual property may be released to a beneficiary to support licensed software. However, simply having an escrow agreement does not guarantee that the source code is complete, accurate, or functional. 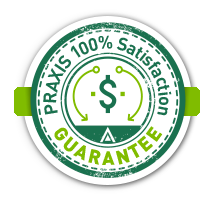 At PRAXIS Technology Escrow, we provide a variety of software quality assurance services beyond our software escrow, source code escrow, and SaaS escrow services. Our quality assurance services aim to provide beneficiaries with the peace of mind that comes from gaining qualitative insight into their escrow deposit materials. Additionally, our quality assurance services make sure the escrow materials are complete, accurate, and functional. 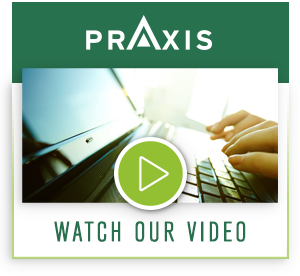 PRAXIS provides “simulated release” Technical Verification services to replicate the position of a beneficiary following a release of the escrow deposit materials. The goal of this technology services project is, to the greatest extent possible, replicate the software or SaaS application. This relies solely upon the escrow deposit materials and associated instructions. Software escrow and SaaS escrow agreements typically require that the software company deposit complete, accurate, and functional escrow materials and cooperate with PRAXIS in the Technical Verification process. Carefully following the software company’s documentation and build instructions can expose errors and omissions in the documentation, as well as exposing errors in source code. It is often necessary for the PRAXIS software engineer to communicate with the software developer to troubleshoot error messages, update build instructions and correct errors. The Technical Verification process and associated report helps the software company to revise and improve their build instructions and often their source code. Beneficiaries can be rest assured knowing that the escrow deposit is complete, accurate, and functional. What are the Steps to Implement a Technical Verification? Interested in our quality assurance service for software escrow? Contact PRAXIS Technology Escrow today to discuss your escrow solution needs and to learn more about our Quality Assurance agreements for source code escrow. sales@praxisescrow.com.